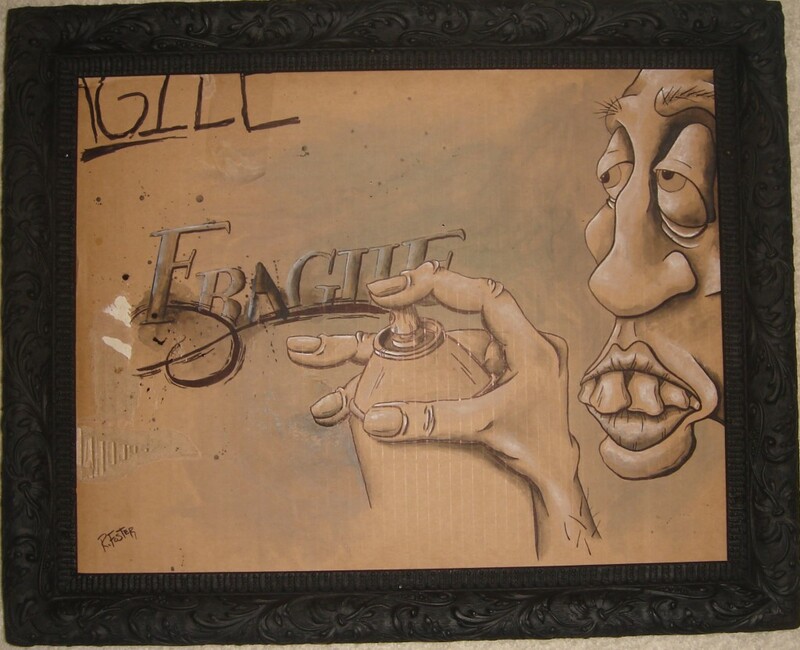 I just finished up a new painting entitled, “Fragile” for the Galesburg Civic Art Center Members & Friends Exhibition. The show will open on July 30, 2011. I wanted to explore the relationship between what is considered “classic fine art” and the street art movement. I wanted to show how disposable art is today by using a piece of cardboard I literally pulled out of the trash. And while a large portion of street art goes unnoticed, immediately painted over or torn down, true artists continue to create it. Finally, after years of being considered “criminals”, many street artists are taking their art into the galleries. 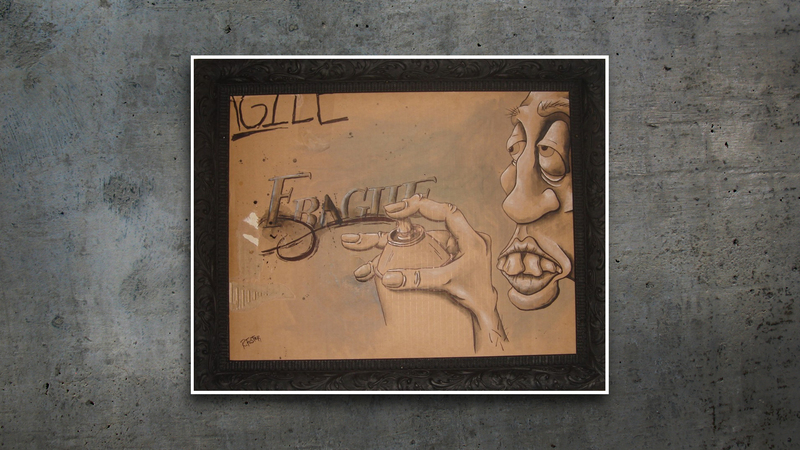 By placing this piece of cardboard in a frame, the line between fine art and trash becomes very blurred.